Mass Effect Andromeda will support PC (a personal computers). Finally, we are happy to announce that Mass Effect Andromeda will support the PlayStation 4 Pro, Xbox and PC as well. As it was expected, in this article we will concentrate only on Mass Effect Andromeda PC game version, while providing the latest news. As you have probably know, this year the new game edition will come up with many different solutions. In this case, it will bring many great improvements for PC gamers. No longer, the Mass Effect 4 PC game will have limited frames. The first time, we heard this news was on November 8. Actually, we have found it while listening the interview with the creative director Of Mass Effect Andromeda Mac Walters on the Game Informer website. As the video itself has received thousands of views, still, everyone was mostly interested in the question about the PC version of the game. As it is clear, the Andromeda PC game version will run more than 30 frames a second. However, what we are not so sure about, is if the frame rate will be unlocked. In any case, as the Walters has affirmed, some of the platforms will definitely run the Mass Effect Andromeda for 30 FPS. How Mass Effect Andromeda PC version is going to look like? The same like on Xbox or Ps4, the storyline of Mass Effect Andromeda on PC will remain the same. The game will transport players to the unknown and mysterious galaxy Andromeda, a long way from the Earth. In this galaxy, players will must to carry out the most important mission - to find a safe planet, where most of the humanity could move in. As it was mentioned in the Mass Effect 4 Andromeda gameplay: what to expect article, the main character is recognized as a Pathfinder. However, what we forgot to highlight previously, is that the Pathfinder will also have its own assistants. More precisely, well-trained explorers. The good news, Mass Effect Andromeda for PC can be pre ordered even today. Visit the online website Amazon and find your desired game for the best price. 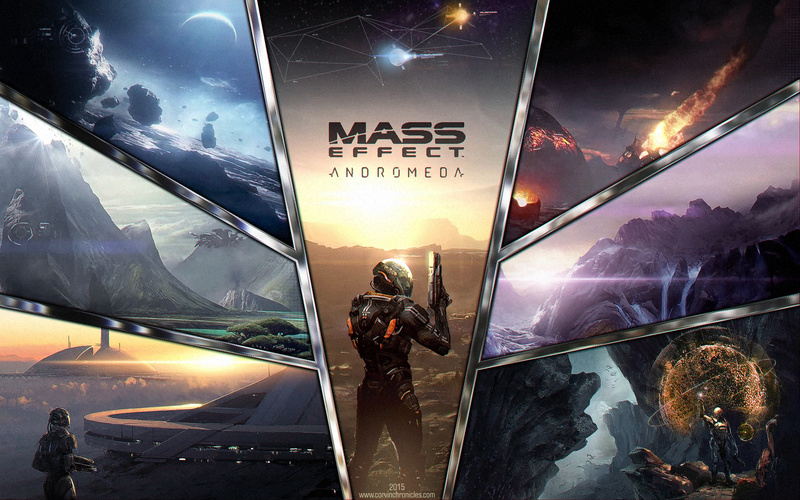 Find out about Mass Effect Andromeda release date. You can also watch Mass Effect Andromeda trailer. Also there is an article with lot of information about Mass Effect Andromeda gameplay.